Add moist paneer , powdered sugar and cardamom powder to a non-stick pan and begin to heat on a low flame. Continue cooking till the combination reaches the level of thick consistency. After it cools down, make it into a dough till it blends perfectly. Roll them to balls and flatten a bit. 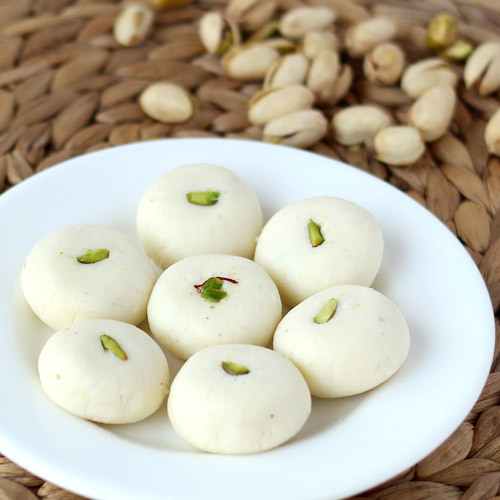 Tuck them with Almond/Kesar/Pistachio at the centre. Refrigate for 2 hours and serve. 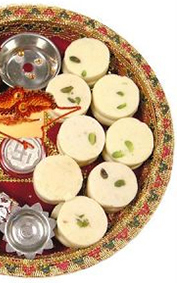 MM Mithaiwala provides you with fresh and yummy Sandesh at a reasonable price. 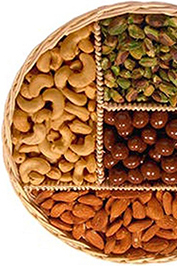 Contact us for free home delivery or you can place your order online too. Hurry, grab the sweetness.